My family and I absolutely love the zoo. Typically when we travel, we visit the zoo in whatever city we’re in, just because they are always great for a fun day out with the family. 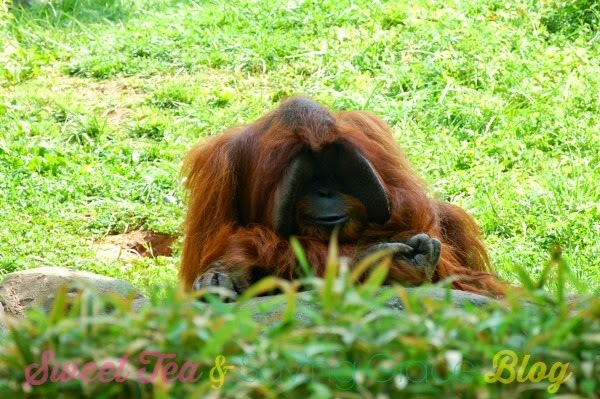 Living in the Atlanta area has a lot of perks, and one of them is that we can go to Zoo Atlanta any time we want! 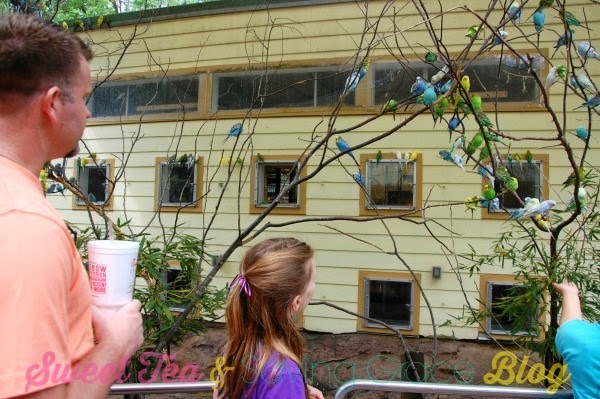 Located in Grant Park, Zoo Atlanta is in a wooded setting, which provides lots of shade as you visit each habitat. 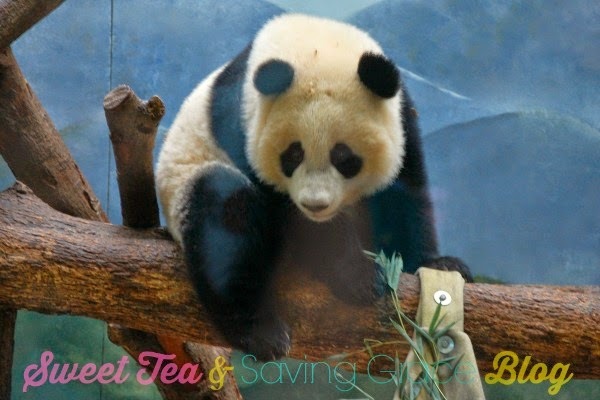 We always spend a lot of time at the panda habitat, and right now, Zoo Atlanta is home to twin panda cubs! Twins! Meet Mei Lun and Mei Huan! Seriously, how cute are these two? 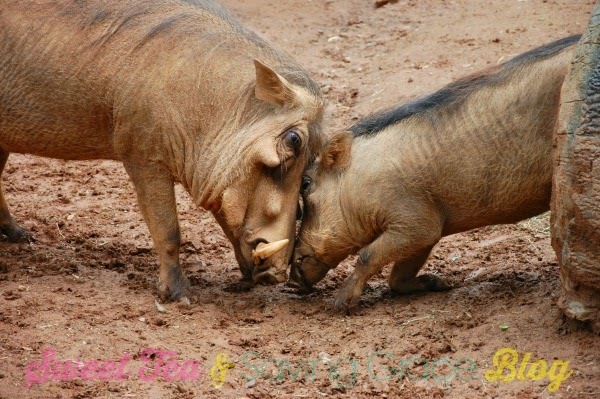 Here’s a lovely pair of warthogs rough housing in the mud. The parakeet aviary is so cool! You are surrounded by literally hundreds of colorful parakeets chirping and flying around. I had parakeets growing up, and they are social little birds. This is a real treat! Hey look! 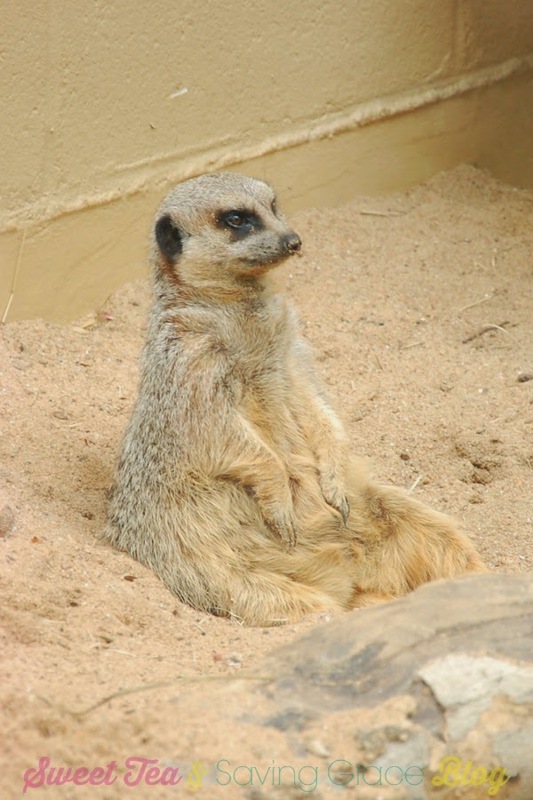 It’s Timon, the meerkat! He looks so comfy, huh? He’s one of over 40 species of mammals that you can see at the zoo. 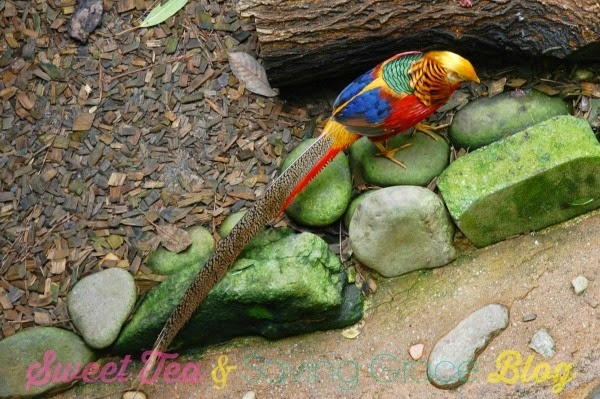 This gorgeous bird is one of over 50 different bird species. 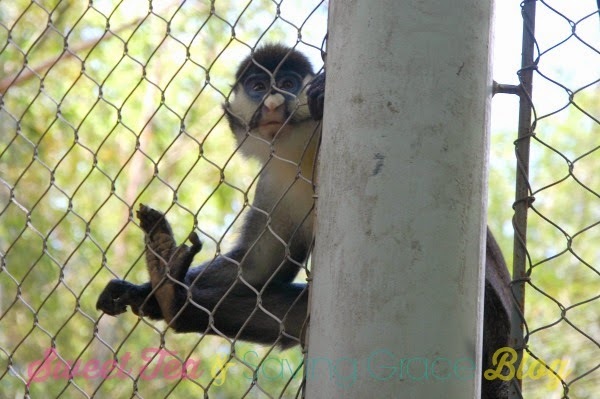 A lot of the smaller monkeys are very friendly. This little guy kept poking his hand through the fence reaching out for us. The orangutans are awesome. They have a huge habitat with hammocks to relax in, but this handsome guy wanted to face the crowd and entertain us instead. He’s quite a character! With 40 acres and roomy habitats for each species, the animals seem to be spoiled rotten. 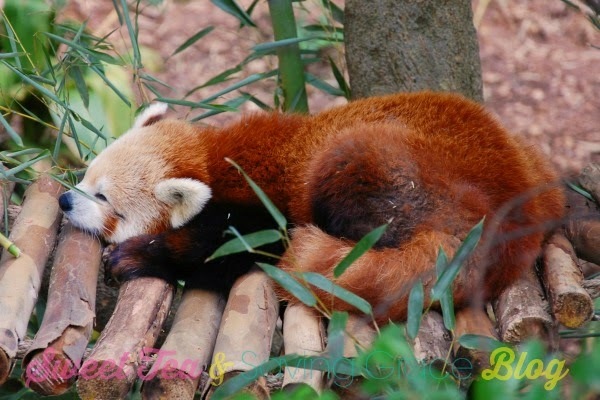 This red panda is one of my favorite animals at the zoo, but it really is hard to play favorites because there are so many amazing creatures at Zoo Atlanta. 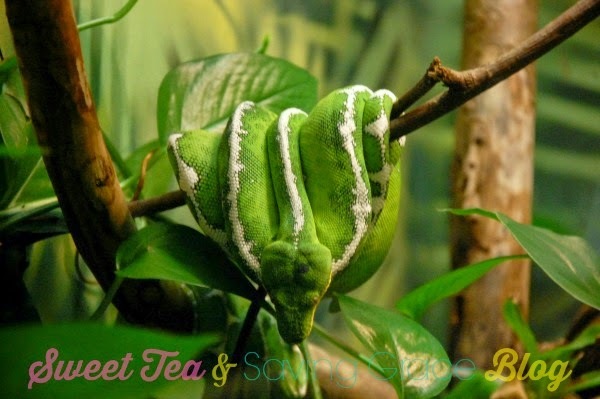 The World of Reptiles is a huge building full of every kind of snake, frog, and iguana you can imagine! 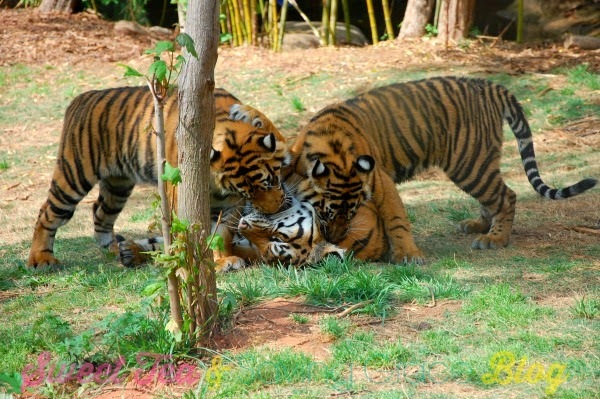 The tiger habitat gives these beautiful kitties tons of room to explore. Visitors get to stand close to the action with floor-to-ceiling windows looking directly into the habitat. 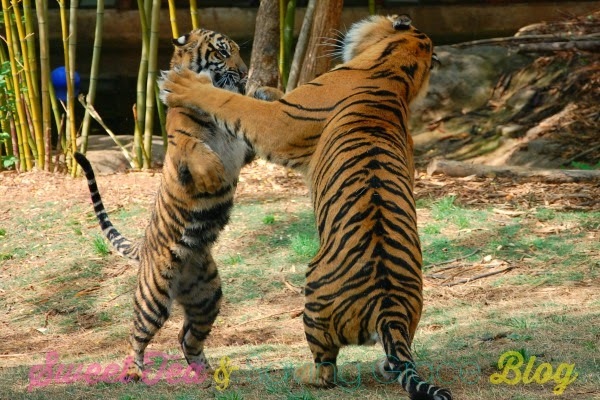 This momma was teaching her cubs how to fight! Zoo Atlanta is open everyday except Thanksgiving and Christmas, and it’s very affordable, too. Adult tickets are $21.99 and kids get in for $16.99. Children 2 years old and under are free! Also be sure to catch a few of the shows while you’re there. The birds of prey show, Fantastic Flights, is not to be missed. (Visitor tip: sit on the aisle of a middle row, and you might experience a great fly-by!) Stop by the petting zoo and feed the goats, or add a wild animal encounter to your trip! Plan to spend a minimum of 2 hours. Food IS allowed! There are picnic areas for dining in the zoo. There are also several restaurants and eateries to purchase food inside the zoo. Also available for an additional cost: Carousel rides, giraffe feeding, and wild animal encounters. Visit Zoo Atlanta online for additional information and to purchase tickets. *I am not affiliated with or paid by Zoo Atlanta. This review is simply my own opinion of Zoo Atlanta and all information reflects my own experiences. I simply love where I live and wish for others to enjoy their visit to Georgia! See all posts about awesome places in Georgia on one page!